Senate Majority Leader Mitch McConnell (R-Kentucky) is a hardline conservative who ranks among the most powerful politicians in Washington, DC. 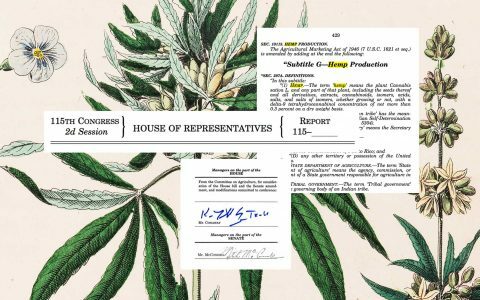 He’s also now an official (albeit unlikely) “hemp hero” thanks to an amendment he added to the massive 2018 Farm Bill that legalized hemp as an agricultural commodity in the United States for the first time in over 80 years. In its long history, the hemp movement has produced many heroes we can celebrate wholeheartedly, including activists, scientists, authors, and a few of the nation’s Founding Fathers. Hoping to provide a viable crop replacement for his state’s struggling tobacco farmers, McConnell leveraged his leadership position in the Senate to move the provision through the legislative process at lightning speed. 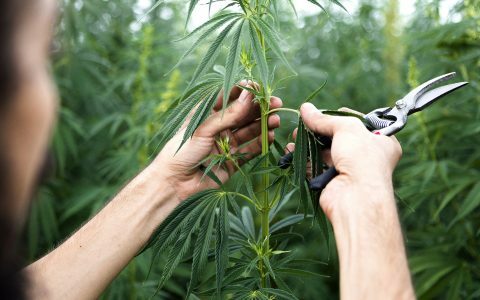 American farmers are now free to grow and process hemp for industrial uses, as a nutritious food source, or to create hemp-derived CBD products. Which means an issue long considered a far-left pipe dream has suddenly became the law of the land—which much thanks to one of America’s least groovy politicians. 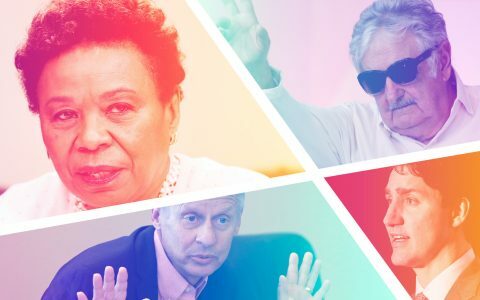 The problem with Mitch McConnell is that he hasn’t been a “hemp hero” for very long, and he remains adamantly opposed to legalization of cannabis. So we’re talking about a guy who considered hemp too dangerous to grow in American soil until domestic tobacco was no longer sufficiently profitable. And he still doesn’t support letting Kentucky’s farmers grow high-THC cannabis varieties. In fact, he’s been a key voice in Congress opposing efforts to protect the existing legal cannabis industry in the United States, never mind end federal prohibition entirely. For a politician who’s long been a proud backer of Big Tobacco to turn up his nose at cannabis is just inexcusable. Besides, in its long history, the hemp movement has produced many heroes we can celebrate wholeheartedly, including activists, scientists, authors, and a few of the nation’s Founding Fathers. 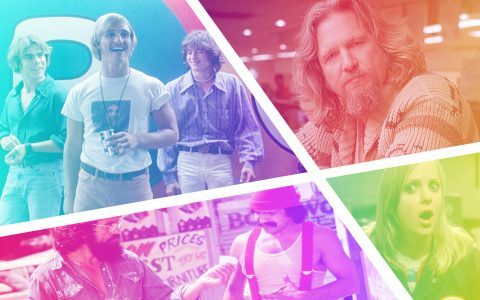 Here’s the story of seven who truly changed the game. Yes, many of the Founding Fathers grew hemp—a versatile crop that played an invaluable role in colonial America’s economy—though there’s no direct evidence any of them got high on their own supply. 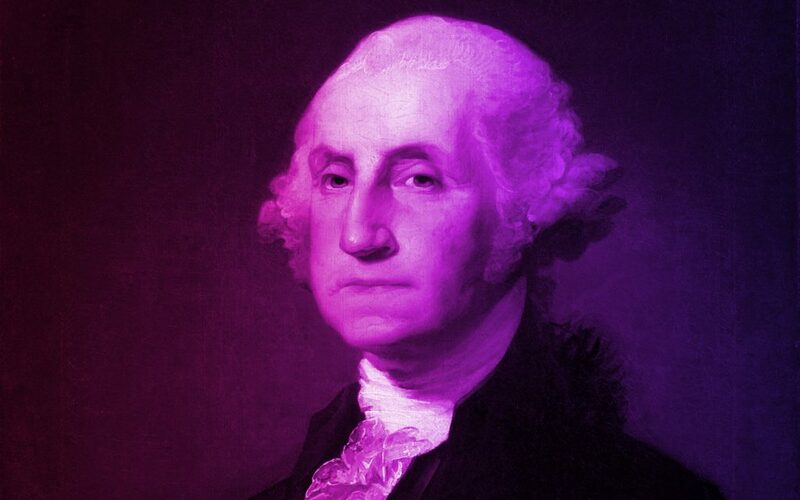 Washington initially became interested in hemp as a commercial crop in the 1760s, when the price he fetched for his tobacco crop suddenly plummeted (sound familiar?). But ultimately he decided to focus on wheat instead, while growing just enough hemp to supply his own needs on the farm. 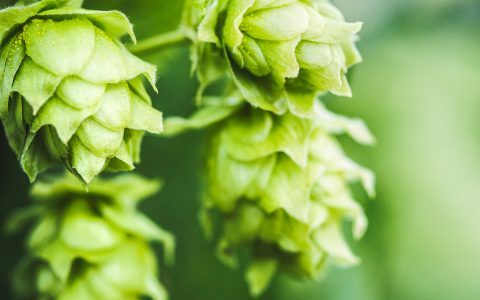 Primarily, the future leader of the American Revolution used the hemp he grew at Mount Vernon to make the large nets he used to pull fish from the nearby Potomac River. Today, after two centuries of absence, hemp once again grows at the site of Washington’s home and farm, which the National Park Service now maintains as a National Historic Landmark and model farm. The first modern crop of Mount Vernon hemp was harvested in 2018 and used to make rope and cloth. Sister Mary Etienne Tibeau was a Catholic nun associated with Mount Mercy Junior College of Cedar Rapids, Iowa. 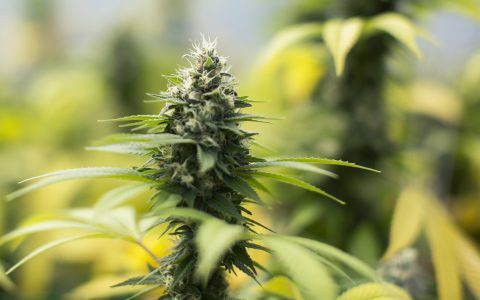 What she accomplished in terms of determining how and when to best fertilize cannabis formed the basis for the next 80-years of experimentation. Though details of her life are hard to come by, Tibeau’s influence on the past 85 years of cannabis cultivation (whether hemp or weed) is undeniable. Though only a rare few remember her name, what she accomplished in terms of determining how and when to best fertilize cannabis formed the basis for the next 80-years of experimentation. 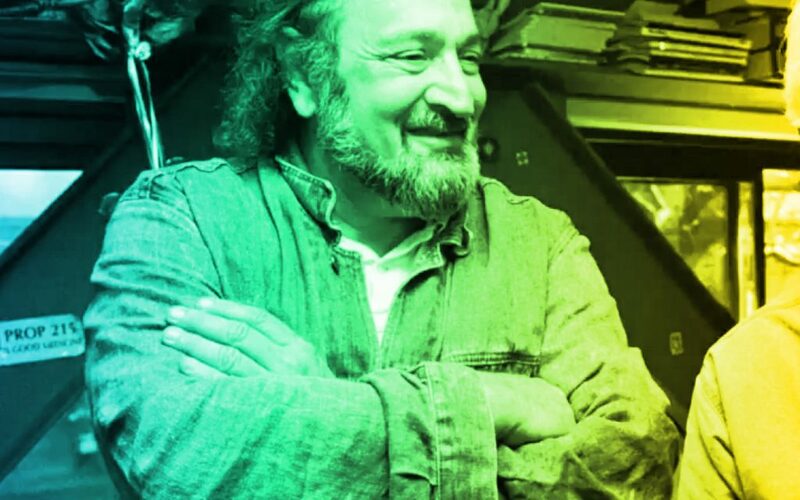 Born in New York City in 1939, Jack Herer dropped out of high school to join the Army and serve in Korea. 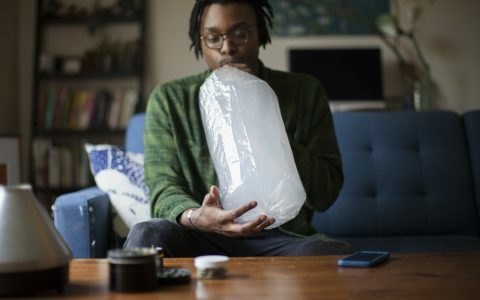 He didn’t try smoking cannabis for the first time until he’d turned thirty, and not long after, ditched his job as a sign maker and opened up a head shop on Venice Beach in Los Angeles, pledging to campaign tirelessly until cannabis was legal and everyone was let out of prison, or he turned 84—whichever came first. 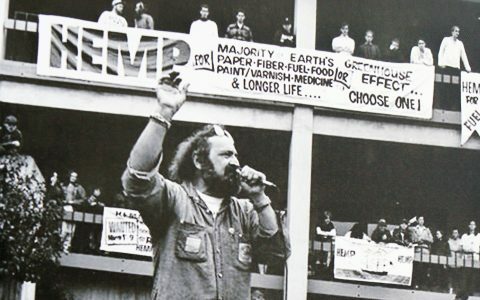 In 1981, Herer was arrested for trespassing on federal property while collecting signatures for a cannabis ballot initiative. Given two weeks in prison, he used the time to start work on The Emperor Wears No Clothes, which was published in 1985. Through painstaking research, Herer’s magnum opus told the hidden history of hemp—a once-revered crop cultivated for more than 10,000 years, that played a vital role in America’s economy from colonial times until the Marijuana Tax Act of 1937 made growing it a federal crime. 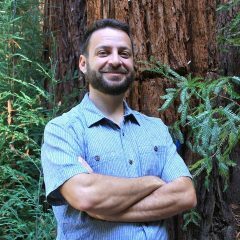 Herer’s underground bestseller argued that ending hemp’s misguided prohibition, and allowing a commercial crop to flourish once again, would yield incredible benefits, including but not limited to feeding the world, freeing us from fossil fuels, reversing climate change, replacing plastics, ending the housing crisis, and restoring our planet’s depleted soils. 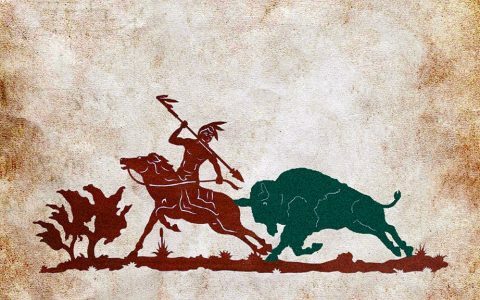 Born on the Pine Ridge Indian Reservation (in South Dakota) in 1952, Alex While Plume has devoted much of his life to advocating for legal hemp production on reservation land as a way to bring an economically and environmentally sustainable source of income to a place stricken with few job opportunities and systemic poverty. In 1998, he persuaded the Oglala Sioux Tribe to adopt an ordinance exempting industrial hemp from the tribe’s ban on cannabis cultivation. Two years later, believing the ordinance and the tribe’s sovereign status would protect his efforts from interference by the US federal government, he grew a small plot of hand-sewn hemp. But before that minuscule amount of non-intoxicating cannabis—grown in one of the most remote and resource deprived areas under US jurisdiction—reached maturity, a deployment of federal agents wielding guns and wearing bullet proof vests arrived at White-Plume’s land, where he lived with extended family in a compound of modest homes and trailer houses. The feds brought along metal weed whackers, to chop down the crop and haul it away. As they did the next year, when White Plume again defiantly planted hemp. In 2002, he actually managed to harvest his small crop, but shortly after he was hit with a court order proactively prohibiting him from planting any more hemp until the DEA gave him permission. This caused him to finally relent from replanting, but White Plume would continue to tirelessly advocate for hemp—both within the Oglala Sioux Tribe and globally. In 2016, based on new protections for hemp farming at the federal level, he took a chance and started growing again, this time a small commercial crop. 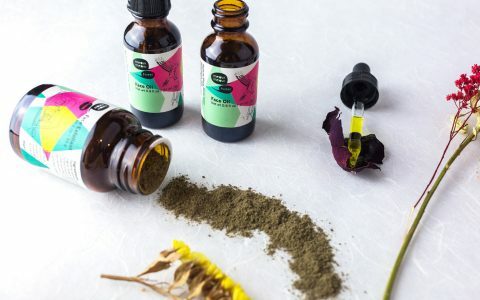 He now sells his output to a Colorado-based company called Evo Hemp, which uses it to make tinctures and capsules, including a signature line with White Plume’s name on the label. This really irked Molly Galbraith, daughter of the late, great Kenneth Galbraith. @SenateMajLdr — did you forget about my dad's 40 year fight for legalizing #hemp? Galbraith wore hemp suits on the campaign trail throughout that campaign, and five subsequent unsuccessful runs for Governor—a quixotic pursuit that he shrewdly used as a platform to inform people about cannabis and hemp. Known as a colorful character and a straight shooter, Galbraith won over a lot of converts on both sides of the aisle by being persistent, and by positioning hemp as a replacement crop for Kentucky’s ailing tobacco farmers. Emanuel Bronner was a third-generation German Jewish soap maker who emigrated to the United States in 1929. Intent on branching out on his own in the soap business, he ended up narrowly escaping the Holocaust, which saw both his parents meet their ends in a Nazi death camp. After that, and the untimely death of his wife in America, he developed an All-One Philosophy that defies easy summation, and remains printed on the side of every iconic bottle of Dr. Bronner’s Magic Soap to this day. Dr. Bronner’s donates millions of dollars every year to cannabis legalization, mental health research, environmental justice, animal-rights causes, and LGBT communities. For more on Emanuel Bronner, check out the entertaining and enlightening documentary Dr. Bronner’s Magic Soapbox. 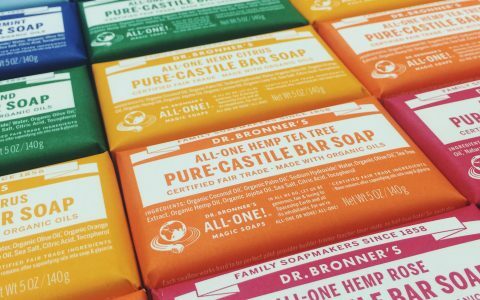 But what’s essential for our purposes is that his mix of high ideals and a highly utilitarian all-natural product with 18 different uses made Dr. Bronner’s soap a hit with the hippies of the 1960s and 70s. 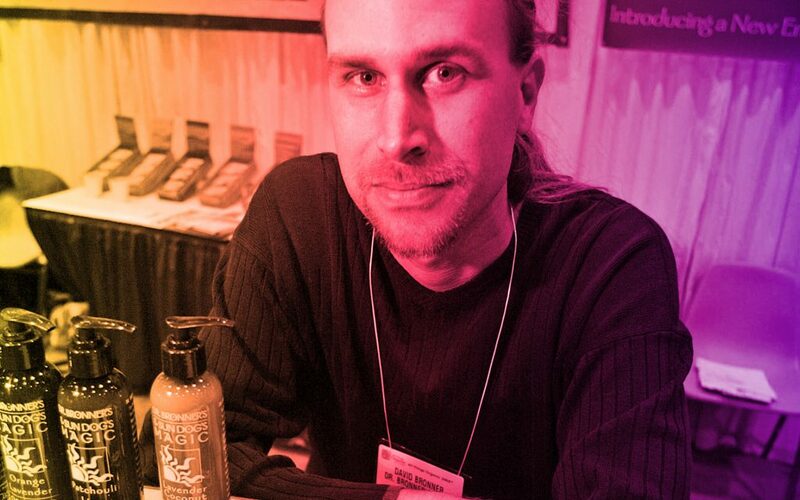 And then things really took off in 1999, when at the insistence of David Bronner, the company began adding hemp oil to their soaps—with annual sales skyrocketing from roughly $4 million that year to $100 million in 2015. 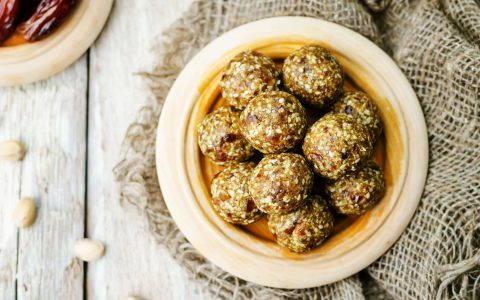 At one point the company was importing 20 tons of Canadian hemp seed oil annually, but they’ve been increasingly sourcing domestically as US hemp production ramps up post-prohibition. Dr. Bronner’s also donates millions of dollars every year to cannabis legalization, mental health research, environmental justice, animal-rights causes, and LGBT communities. David Bronner himself is an outspoken activist, one who’s not afraid to get his hands dirty. Like the time he helped plant hemp seeds on the lawn outside the DEA building in Arlington, Virginia. Or the time he locked himself in a cage outside the White House for a few hours to protest hemp prohibition. Author, NPR contributor, and self-described solar-powered goat herder Doug Fine didn’t so much change the game when it comes to hemp, as he did document the changing of said game. In Hemp Bound: Dispatches from the Front Lines of the Next Agricultural Revolution, he also presents a roadmap for moving from a petroleum-based society to one largely run on hemp. Ultimately, the author predicts a future where hemp produces even more taxable revenue than legalized cannabis, while feeding the world, freeing us from fossil fuels, reversing climate change, and restoring our planet’s depleted soils. And in case you’re wondering, Fine does indeed get not-high on his own supply, having became a hemp farmer himself shortly after the book was published in 2014.